See what events are happening on the Outer Banks and mark your calendar to attend. Take your pick! 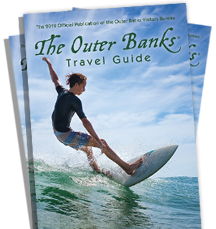 The Outer Banks celebrates everything from cultural heritage to local art, fresh seafood to craft beer, films to literature. Holidays and parades dot the season and you are sure to experience a one-of-a-kind adventure. We welcome you to take part in the festivities across the region from Duck to Hatteras. Do we mark this time by what comes before and after? Or is it this moment and what we do with it that truly matters? We start everyday with an open invitation to explore, to see unknown outcomes, and to challenge curiosity...a trip to Outer Banks is the best event of all. Check out our TOP OBX Events or scroll below to filter events based on date or location. Dates and times are subject to change. To view our firsthand account of the event, follow us to our OBX Events Videos playlist. Dates and times of events are subject to change. Please visit the event&apos;s website link for up-to-date information.